Gas prices are tumbling, except where they're not. Nationwide, average prices are falling at the fastest rate since January due to cheaper crude oil costs and the resolution of some refinery issues but in California, the gap between local prices and the rest of the country is bigger than ever. AAA says that by the middle of last week, the national average price of gas had dropped for 16 days in row for a total of 11 cents per gallon. The national average price of gas on Wednesday was $2.66 per gallon, which is the lowest average for this time of year since 2009. But in California, the nation's most populous state, a different record has been broken -- this one for the biggest gap between what California consumers have paid at the pump versus the rest of the nation. The nonprofit group Consumer Watchdog says Californians paid $1.2 billion more, after tax differentials, than the rest of the nation in the month of July, a record, and $4.8 billion more for their gasoline over the last six months ending July 31st, since gas price spikes started. That amounts to $201 extra paid by each California driver, according to the group’s calculations. Steyer, who has spent millions to help elect climate-friendly candidates, wants California’s legislature to require oil refiners to publicly disclose their profits from producing gasoline in the state, according to an Associated Press report. Consumer Watchdog's analysis of state data found that oil refiners were able to triple refiner margins the second week of July to a record $1.61 a gallon, representing the amount of money refiners receive for each gallon sold at the pump. The historical margin over the last fifteen years is 48 cents. The margin since the price spike began in February has averaged $1.05 per gallon, the group said. A Chevron spokesman said the higher prices in California are the result of a fire at one refinery, a strike another, higher state taxes and a new state-mandated fuel regulation. "While it is easy for groups like Consumer Watchdog and individuals like Tom Steyer to take one factor in our earnings out of context, what can't be taken out of context is the fact that many policies backed by Steyer are already increasing fuel prices for California consumers," Chevron's Braden Reddall said, AP reported. 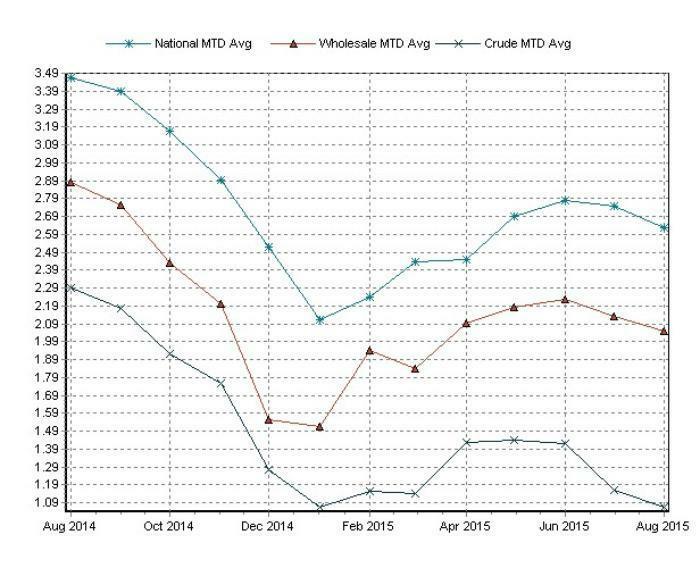 California's issues aside, AAA says that gas prices should continue dropping to catch up with the recent decline in the cost of crude oil. All things being equal, a $12 decline in crude oil costs could reduce gas prices by as much as 29 cents per gallon. 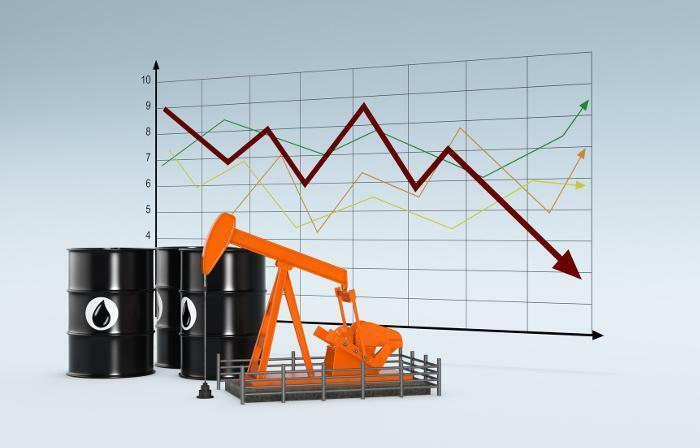 Given that prices have already dropped about 14 cents per gallon since reaching a 2015 high in June, drivers could see prices drop another 15 cents per gallon in the near term if oil remains stable and refineries operate at current production levels. Gas prices could drop even further if oil continues to fall and gasoline supplies grow larger this month, AAA said. “We could see many parts of the country make another run towards $2 per gallon by the end of the year if everything keeps running smoothly,” AAA's Ash said. Of course, there's always the possibility that a hurricane, earthquake, fire or other unforeseen misfortune may intervene.